Morten Bennedsen takes a look at family business longevity, some of the challenges and the need for owners to step back. 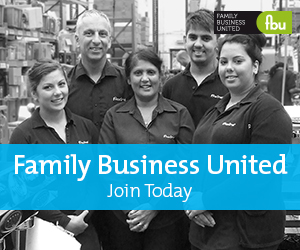 Too much centralised control puts a family business at risk when the owner-manager dies. Professionalising a family firm is a necessary yet difficult progression. The owner-manager starts with a solo performance but the firm builds into a symphony orchestra in which the family continues to have a say in the running of the firm. Family-run businesses need to shift their deeply engrained organisational culture from a single-family member leader to a professional manager leading the firm. It can be a difficult process to get right because of the larger emotional issues at stake. For professional managers who have little or no experience with family firms, most will have never confronted this kind of transformation before since it is unique to family firms. In general, both owner-managers and professionals often underestimate the length of time and the scope the process can take. One study has shown that large publicly-traded family firms in Hong Kong, Singapore and Taiwan have lost half their market value in the five years following the retirement of a family owner-manager. Most of these firms had been too dependent on the family leaders. Hence, embarking on the professionalisation process is crucial for the survival and prosperity of the family firm. In guiding the firm through this process, owner-managers will create added value while reducing key personal risks, such as sudden health problems or accidental loss of life. Take the example of Lee Kun-hee, the second-generation leader of Samsung who realised in the 1990s that the firm needed to move beyond its closed-door culture and begin hiring talent from outside the traditional pool, and at considerably higher market wages. A sea change in culture was necessary for the firm to move from a mass producer of cheap goods to a maker of high-quality innovative products. To make his point loud and clear, Lee issued a command to his staff: “change everything except your wife and children”. From that point on, Samsung has developed a professional cadre of talented leaders across all its approximately 60 business units, whilst the Lee family still manage and control the company. An example of a company that was dragged into professional management is the Evergreen Group, which in 2017 had 27,000 employees and 30 major affiliates worldwide, of which four were listed on the Taiwan Stock Exchange. When its legendary founder Chang Yung-fa died in January 2016, he went to his grave with the mistaken belief that his youngest son by his second wife would take over as Chairman. However, his three sons by his first wife put a stop to that. The leadership role was handed over to management professionals by the collective action of the three sons who together owned a majority stake in the company. The good news is that next-generation family members are more likely to embrace professional management if they are included at the very beginning of the transformative process. Their opinions count. Professionalisation of the family firm is also a key way to attract new minority investors including foreign ones. Investors want to hear that family-owned firms can continue to create value even without founders and their families. This is particularly true if the business could be sold to investors or taken public. Many owner-managers start the process of professionalisation to allow a formalisation of company strategy. In larger family firms with few formal procedures or defined structures, owner-managers often end up addressing the day-to-day issues and don’t have time to consider the big picture. In so doing, they are forced to postpone making decisions that affect the future of the firm, including adopting new business strategies, starting new investment projects, making long-term plans, restructuring capital assets, conquering new markets and relocating production to other regions. Establish a formalised dialogue between generations. For the owner-manager: Take less of an operational role and more of a strategic role. For family members: Find the right roles and jobs for current members and next gens. Hire and empower non-family managers to make decisions and take responsibility without interference from founders and family members. Clarify the role, structure and composition of the board. Once on the road towards professionalisation, owner-managers can better communicate the vision, strategies and goals of the firm while retaining the spirit of the founder. By holding fast to family values and traditions, owner-managers can take off the operational executive 'hat' to speak authentically as engaged visionaries. They can then improve their chances of overcoming the challenges facing their firms and improve the likelihood of attracting external investment or even the transfer of the business altogether. In this way, stakeholders will better understand the direction in which the founder is trying to steer the company. If a radical shift in the corporate organisation is on the table – such as an IPO or company sale – founders will be in a better position to communicate the news and adapt the firm to the new paradigm successfully. In conclusion, the professionalisation of a family firm can be compared to a concert by a symphony orchestra. At first, the star violinist gives a thrilling rendition of versatility. The performance is then handed over to the orchestral musicians who entertain the audience throughout the duration of the concert. It’s similar for a family business, where solo performances by the professional managers are contained with the larger symphony orchestra – family members are still pulling some of the strings. About the authors - Morten Bennedsen is the André and Rosalie Hoffmann Chaired Professor of Family Enterprise at INSEAD and Academic Director of the Wendel International Centre for Family Enterprise. He is also a contributing faculty member to the INSEAD Corporate Governance Centre and is co-author of the book The Family Business Map: Assets and Roadblocks in Long-Term Planning. Brian Henry is an INSEAD Research Fellow. This article was first published on the INSEAD website and has been reproduced with their permission.